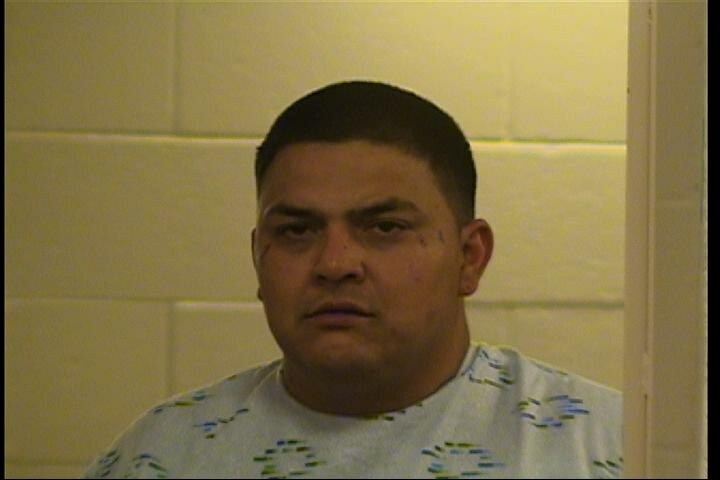 Donald Candelaria, 38, was arrested and charged with Auto Theft. Albuquerque Police Southwest Area Command officers were dispatched to a stolen vehicle call in the area of Coors Boulevard and Gonzales Road. The victim's vehicle was equipped with a LoJack system which emitted a signal minutes after the vehicle was entered as a stolen. Officers with LoJack tracking equipped police vehicles were then able to pick up this signal and tracked the vehicle to the area of the 9000 block of Volcano Road Northwest. Officers located the vehicle parked at a residence and observed Candelaria running from the stolen vehicle. Officers were able to quickly establish a perimeter in the area where Candelaria was seen running. Officers discovered the residence belonged to Candelaria and located a second stolen vehicle parked at his residence. With the assistance of the Albuquerque Police K9 unit, Candelaria was located hiding under a mobile home trailer in the area. He was treated for minor injuries at a local hospital and later booked into MDC for the Auto Theft charge. Both stolen vehicles were recovered and returned to their owners. The Albuquerque Police Department is proud to have a partnership with the LoJack company. This valuable tool assists police in locating LoJack equipped vehicles and helps ensue we are able to make arrests of auto theft offenders. The Field Officers, APD K9 Unit and LoJack representatives did an outstanding job with recovering two stolen vehicles and putting another repeat offender behind bars.